FAQ: How to submit an Expression of Interest? How to submit an Expression of Interest? 2. 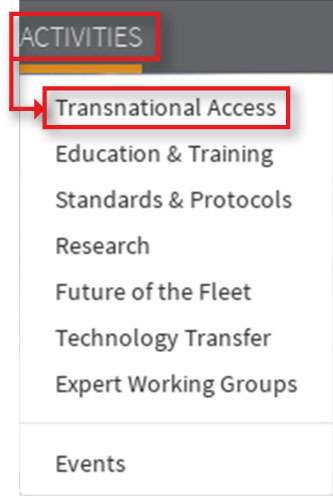 On the main top menu, click on Activities and select Transnational Access from the drop-down menu. 3. Scroll down and towards the bottom of the page, click on the Expressions of Interest tab and on the Expression of Interest form button. 4. Fill in the required fields and Submit the form.